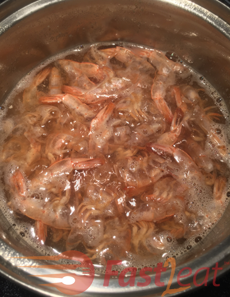 Give Shrimp heads, shells, and tails a quick rinse under cold water first. Place the heads, shells, and tails in a Small Saucepan with enough cold water to just cover the shells. Add HonDashi (Bonito Fish Soup Stock) to improve the taste. Simmer the whole thing uncovered until the water takes on a light orange-stock colour, about 15 minutes, then Strain all the shells out. 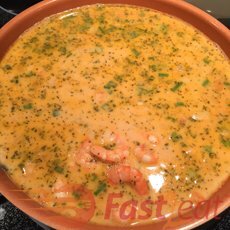 Use the stock in your shrimp recipe for an extra boost of flavor. If using Vegetable Stock just add 1 tbsp Vegetable Instant Stock Mix to 1 cup of boiling water. 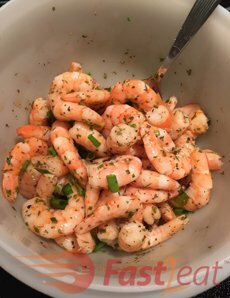 Season shrimp (peeled) with salt, Lemon Juice, Thyme Leaves, Cilantro Leaves, HonDashi (Bonito Fish Soup Stock), Paprika, Parsley, chives or green onion, Black pepper (optional to taste). 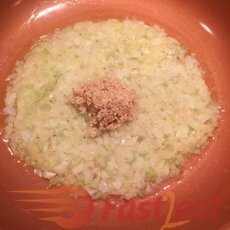 In a big skillet or Saucepan heat the oil (Extra Virgin Olive Oil or vegetable oil), butter (or margarine) and saute the chopped onion and Minced Garlic. Add the seasoned shrimp and saute the shrimp until pink. Add the tomato sauce and shrimp stock (or Vegetable Stock) cook for 5 min. 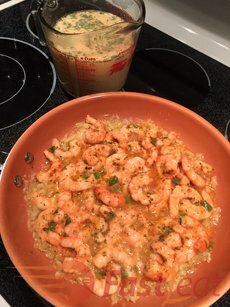 Be careful if overcook shrimp becomes chewy. Add the cream cheese (or catupiry) mixing well until forming a very creamy sauce. Put the sauce on top of the pasta** and mix thoroughly until well incorporated. 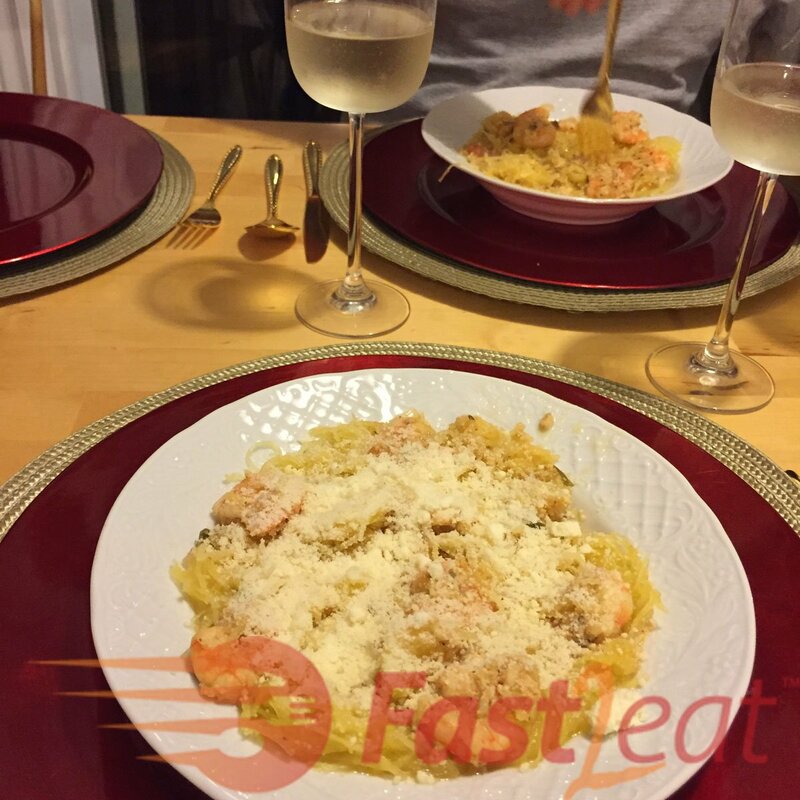 Add parmesan cheese and bake in preheated oven at 200C (400F) for about 10 minutes until cheese is golden brown. Store leftovers in an airtight container, refrigerated, for up to 4 days. Make-Ahead tip: This pasta tastes just as good the next day! Add a splash of milk and reheat slowly over lower heat until very warm/hot but not simmering. Or and bake in preheated oven at 200C (400F) for about 20 minutes until cheese is golden brown. *Hondashi® is a Bonito fish-based seasoning for those who like to make the preparations even tastier, also stimulating a balanced and flavorful diet. Hondashi® guarantees the authentic taste of fish to the preparations and can be used in the most varied recipes with fish, seafood, oriental recipes, and fish-based broths, giving a delicious and full-bodied flavor! **Whichever pasta you use, make sure to cook it al dente, then rinse it with cold water, drain it, and only then add it to the sauce. This will preserve the pasta structure and prevent it from getting mushy in a creamy sauce. 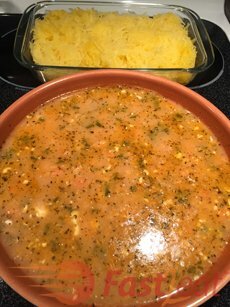 Or for low carb option, with Spaghetti squash. 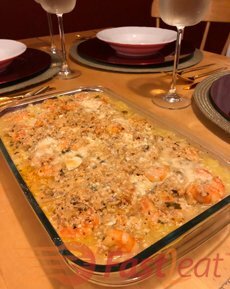 You can also use gluten-free brown rice penne or rice noodles (also known as rice vermicelli), gluten-free lentil penne or gluten-free quinoa pasta, or any other type of gluten-free short pasta. Cook gluten-free pasta according to package instructions. Then drain and rinse with cold water to prevent gluten-free pasta from getting mushy and sticking together.